Type I – Post Secondary Scholarship. For post secondary study at an approved college or university in the amount of $1,000.00. Type II – Cultural Scholarship. For the study of Ukrainian culture and/or language in an approved program to the maximum of $500.00. On Saturday, January, 26th, our Society hosted another successful Malanka. The evening included a delicious buffet dinner enjoyed by all. We were entertained by the wonderful Prairie Band before dinner and later by the fabulous S-Bahn as we danced away the night to a great variety of music. 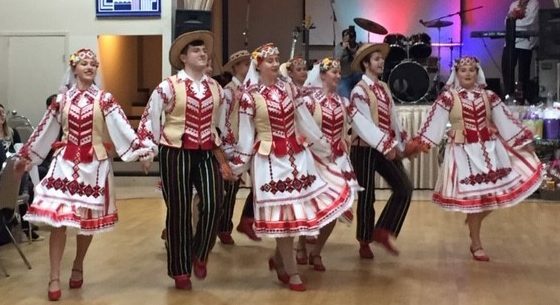 After dinner, we were entertained by the Dovbush Ukrainian Dancers of Vancouver and Kvitka Ukrainian Dancers of Surrey. Both dance ensembles provided our guests with a fabulous floor show. We Now Offer Take Out! 1. Leave a message at 604 274-4119 with your order and when you need the order. Someone will call back to confirm your order. 2. Email us at info@ivanfranko.ca with your order, phone number and when you need the order. Someone will email or call back back to confirm your order. Saturday Sales take place from 10:00 am – 2:00 pm every Saturday.